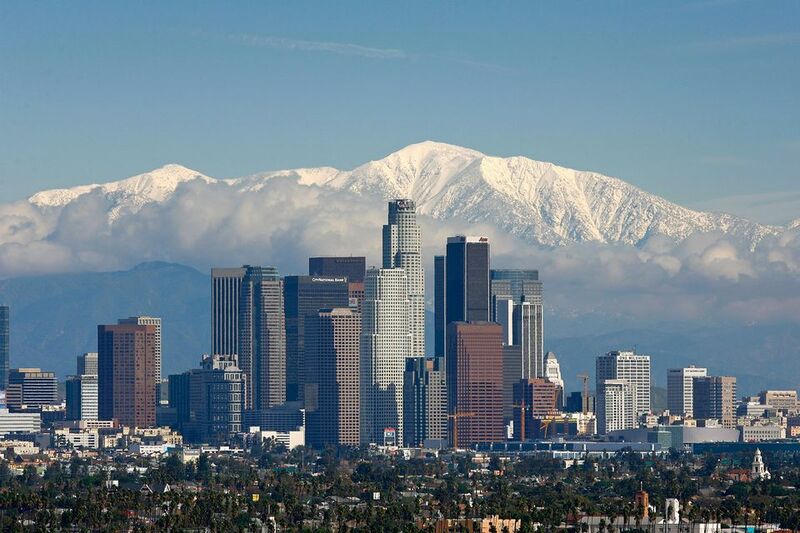 Save money on your trip to L.A.
Los Angeles is vast, both in population and square mileage. A visit here can be quite daunting -- and expensive -- without the proper planning. This travel guide for Los Angeles provides money-saving tips to enhance the quality of your time in L.A. Crowds are huge for the annual Rose Parade and bowl game on New Year's Day, but the spectacle and the warm weather are worth the hassle for many visitors. Mild weather in the spring and autumn make those seasons good choices. Extreme cold is rare. Extreme heat is another matter. Los Angeles Magazine offers an Internet guide to restaurants arranged by price, cuisine and other choices. Rich ethnic diversity results in some of the best restaurant choices anywhere. Be open to these opportunities, especially if they aren't available in your hometown. They're worth a budget splurge. It really pays to shop for hotel bargains prior to your trip. In addition to the chains, some of America's most popular hostels are here, too: Orbit Hotel (formerly Banana Bungalow) is on Melrose Avenue in Hollywood. Another is Venice Beach Samesun hostel. On weekends, El Segundo hotels (south of LAX) catering to business travelers during the week frequently make deals to fill rooms. Four-star for under $250: The Standard Hotel sometimes offers discount rates with its great location. Important: Weigh price and location carefully in Los Angeles. Travel times are lengthy here, and a remote bargain is no bargain at all. If your itinerary is complicated or shaped by business needs, shop for car rentals carefully. The freeways are famous, but Southern California has built a very good mass transit system, too. MTA offers buses and trains that cut your dependence on those clogged highways. It's important to check your intended locations for access to MTA service. The base fare is $1.75 USD, but an all-day pass is only $7. Even with the pass, you might be required to pay more if you travel between zones. Here you'll find the attractions you've seen on the screen your entire life: Hollywood, Beverly Hills and Venice Beach, to name a few. The Getty Museum is an amazing place where you could spend an entire day, and admission is free! If you have a few days, plan to spend at least one of them pursuing outdoor activities, which are abundant and fascinating. Airports include heavily used Los Angeles International (LAX) and lesser-known Bob Hope Airport in Burbank, which offers a number of major airlines. Southward along the coast, San Diego International might be a good choice. If you're bound for Knott's Berry Farm, Disneyland or other Orange County attractions, understand that they are some distance in time and mileage from Los Angeles and the coast. With that in mind, plan to either stay here or shape your itinerary so that you only make one trip to the area. John Wayne Airport is here, and Ontario International (serving eastern sections of Los Angeles and San Bernardino) is also an option. Get a GO Card. This is a card you buy prior to your trip and then activate on first use. You can buy from one- to seven-day cards (cost: $89-$339) good for free admission at dozens of local attractions. Design your itinerary before you consider a Go Los Angeles purchase, to determine if the investment will save you money on admissions. There is also a GO San Diego Card sold in time increments of one, two, three, five and seven days. Free admission is offered for dozens of parks, tours, museums and historic sites. Other passes also could save you money. You can buy a Southern California CityPass and get free admission to scores of attractions, including places associated with the motion picture industry. Remember, however, that passes are not necessarily a good idea for everyone. Ask yourself how important these attractions are in your itinerary. Some of the greatest L.A. experiences are free. The Getty Museum falls into this category. So does a stroll down Venice Beach or the Hollywood Walk of Fame. Don't feel pressured into booking expensive tours. After your return home, I'd be very surprised if you don't list at least one free attraction among your most memorable moments. There are also plenty of discounts available for popular Los Angeles attractions. Shopping for airports is important here. You have a choice of up to six airports. Some will be more convenient than others, but all will get you into the region. This provides an opportunity to really shop for the best airfare. Avoid the 405. This is L.A. lingo for Interstate 405, the freeway you've seen in scores of movies and photographs when a scriptwriter needs to portray gridlock. Save time and frustration. Map out another route if possible. Consider leaving the city behind. This is good advice in any major city. It rings true in Los Angeles when you consider what's nearby: a drive up the California coast, Catalina Island or the Mohave Desert all make great escapes from city life. Discounts for Magic Mountain. Print tickets or passes for the Six Flags park before you leave home and save money.